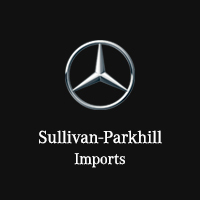 Dealerships come and go, but Sullivan-Parkhill Imports has been a locally owned and operated business for over 95 years. The secret to our success is a simple philosophy – give the customer exactly what he or she wants every single time. And as countless drivers from Springfield, Bloomington, Peoria, Decatur, and Danville have discovered, we stand by that promise. Whatever you’re looking for in terms of selection, service, expertise, assistance, or ambiance, you can rely on us to deliver. The next time you’re searching for a vehicle, consider a new Mercedes-Benz model. These cars and crossovers highlight just how impressive an automobile can be. We also have a large pre-owned inventory for you to consider. We only carry makes/models that are late-model, low-mileage, carefully inspected, and fully detailed. Each vehicle is priced competitively to give you a fair offer. It’s especially easy to drive away in something exciting thanks to our speedy and transparent financing process. And keeping your vehicle running stronger for longer is just as easy when you partner with our service department for all your maintenance and repair needs. If you simply need parts and accessories, visit us to find official manufacturer equipment. After over nine decades of serving customers, we have learned a lot about what drivers and car buyers really want when they visit a dealership. Let us put that expertise to work to ensure you get everything you expect – and more. Give us a chance to earn your business, and we feel confident that you won’t be disappointed.